Great location, welcoming service, spacious and well decorated room, totally worth the price! Collecting the keys were pretty straightforward. I contacted the host on arrival in Barcelona and there was someone waiting for us by the time we arrived at the flat. Location was great and easy to get around the area. The airlines lost out luggage and our host was very helpful in getting it back. Location, outside space, security, value for money. Good location, comfortable and clean. As we arrived late and the owner was very accommodating and organised around it for us. Apartment had everything we needed. Close to metro too. Apartments are really big and in very nice location. Not far from the center, closed to parking place, shops and cafe. When would you like to stay at City Center Apartments Barcelona? Address: Martinez de la Rosa 11. This studio is located near the intersection of Passeig de Gràcia with Avinguda Diagonal. It has 1 large double bed or you can request 2 single beds. There is a sitting area, kitchenette and bathroom. It also features a private terrace, ideal for Barcelona´s fine weather. Bed linens, towels and toiletries are provided. Please specify number of guests staying. The published price is based on an occupancy of 2 people. 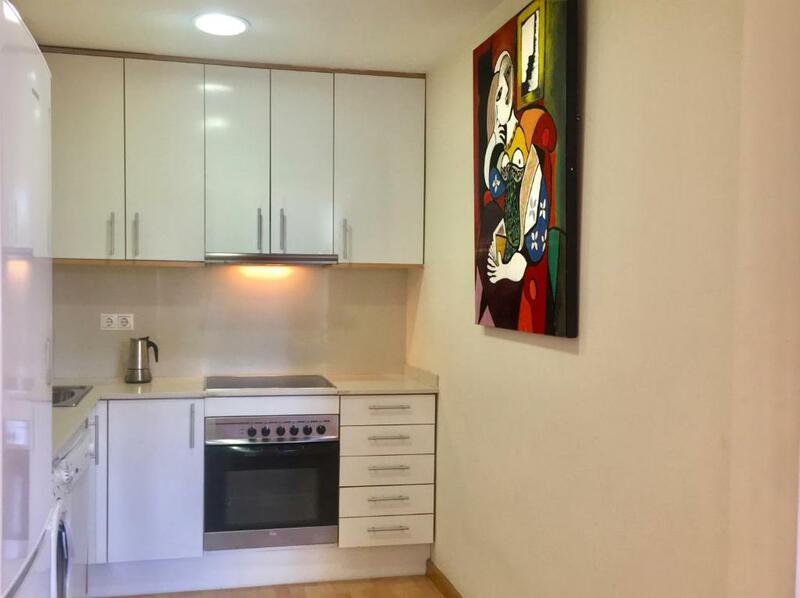 This studio is located near the intersection of Passeig de Gràcia with Avinguda Diagonal. It has 1 large double bed or you can request 2 single beds. There is a sitting area, kitchenette and bathroom. This loft-style apartment is located in the Gràcia district, just a 5-minute walk from Passeig de Gràcia. It has high ceilings, large windows and stylish décor. It features 2 bedrooms with twin or double beds according to your choice, as well as a kitchen and a seating area. Towels and toiletries are provided. Free internet access is included. Sleeps up to 6 adults. For alternate bed configuration, please contact the property. This loft-style apartment is in the Gràcia district, just a 5-minute walk from Passeig de Gràcia. It has high ceilings, large windows and stylish décor. It features a kitchen and sitting area. This apartment features a kitchenware, dishwasher and dining area. House Rules City Center Apartments Barcelona takes special requests – add in the next step! City Center Apartments Barcelona accepts these cards and reserves the right to temporarily hold an amount prior to arrival. Check-in details, including addresses and contact telephone numbers, will be provided once the booking has been made. Please inform City Center Apartments Barcelona of your expected arrival time in advance. You can use the Special Requests box when booking, or contact the property directly using the contact details in your confirmation. Silverfish crawling around on the floor and also 2 in the bed. Big holes behind the paintings, Also we got not the room we booked. The owners excuse is "I prefer this one", and there was nothing we could do. Cigarette fimps on the balcony. Totally worthless and we will never be back. Couldn't have spent my money in a worse way. Disgusting room and a host with attitude.. Big NoNo. There was a small misunderstanding about my arrival, but nothing serious. Everything was solved fast. Good place to stay in Barcelona. Excellent location. There is everything you need in the apartment. Helpful owners. Guy that greet me was great and very nice. Guy that is organizing everything regarding apartments was very helpful. He was in contact all the time during stay and month before stay. He will help you with everything and give you advice. Location is amazing, te best thing. Every attraction is so close, 10,15, 20, 30 min walking. The only concern is when we arrived, we encountered some difficulties to get in touch with the owner in order to get the key, cell. phone problem ..!! .!!! but it's happening sometime when you travel. Not as “fresh” as it looked in the pics but not an issue.